Tales from a tribble: Does A Corrupt, Incompetent President Foretell A Triple Crown Winner? Does A Corrupt, Incompetent President Foretell A Triple Crown Winner? In 1973, America was entering somewhat of a political crisis mode with the emerging of the Watergate scandal, as revealed by the Watergate hearings that year. The president was Richard Nixon. One can debate his effectiveness and greatness as president but I think because of his participation in the cover-up of the Watergate scandal, Richard Nixon will go down as a corrupt [scandal ridden] president. 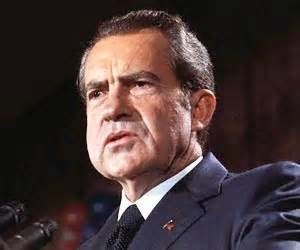 The Watergate scandal would lead to his resignation the following year. In 1978, we were in the second year of a disastrous presidency of the incompetent Jimmy Carter. The economy was in such a bad state that a new measure had to be developed to determine the malaise that the country was in - the 'misery index'. It would be the following years that would reveal Carter's weakness with his disastrous foreign policy and contribute to Americans being held hostage in wake of the Iranian Islamic revolution. I don't think anyone can dispute that President Jimmy Carter will go down as an incompetent president. In 2014, with the ineptness and weakness of this president on foreign policy leading to a crescendo of foreign policy disasters, Syria, Iran, Ukraine, Middle East, Russia, et. al., and with comparable ineptness on the domestic front resulting in a very weak economy, extended unemployment for millions of Americans, a continuous unprecedented period in American history of high gas prices [over $3/gal], a 17 trillion dollar debt, and health care worries due to the disastrous roll out of Obamacare, President Obama can rightly be described as an incompetent president on both the domestic and foreign policy fronts. With an almost 'Ripley's Believe it or Not' number of scandals being rolled up under this president's watch - 'Fast and Furious', Benghazi, NSA, IRS, Obamacare lies, and now the Veterans Administration scandal, President Obama must be classified as one of the most corrupt, if not scandal ridden, presidents in American history. So, President Obama has amazingly been able to combine the worst traits of Richard Nixon and Jimmy Carter to be both an incompetent and corrupt president. 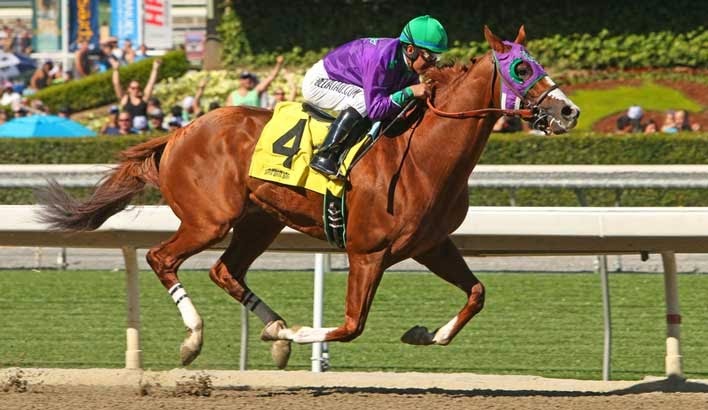 Here is hoping that since we do now have a scandal ridden, incompetent president in power, that this foretells California Chrome winning the Triple Crown in a few weeks at the Belmont Stakes in New York. Note: In Jimmy Carter's first year of his presidency in 1977, Seattle Slew also won the Triple Crown. So, if California Chrome is able to pull it off in New York in a few weeks that will mean that the last four Triple Crown winners have happened when America has had an incompetent or scandal ridden president in office. To relive the greatest Belmont Stakes ever run [the last leg of the Triple Crown series], here is a video that may give you goose bumps of Secretariat winning the Triple Crown in 1973. Great and amazing point big Brad!